With over 2500 shades in stock, let our shade experts help you find the right size and shape to compliment any lamp or base. 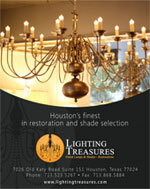 We can recover, repaint and custom trim shade from either your material or choose from one our elaborate line of trims. We are also a full service custom lamp shade designer who can create your custom lamp shade design.